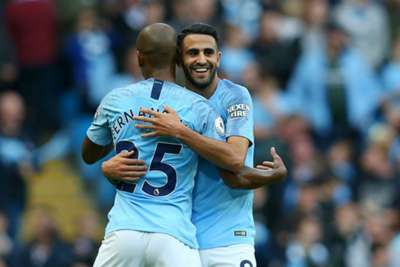 Pep Guardiola hailed an "extraordinary" Fernandinho performance after the midfielder scored a stunning strike in a 5-0 defeat of Burnley that sent Manchester City back to the top of the Premier League. City were already on track for victory at the Etihad Stadium on Saturday thanks to goals from Sergio Aguero and Bernardo Silva before Fernandinho's rocket secured all three points for the champions. "All the players make a good performance, especially John, playing in a position that is not natural for him in the absence of Kyle [Walker] and Danilo," Guardiola told a news conference.